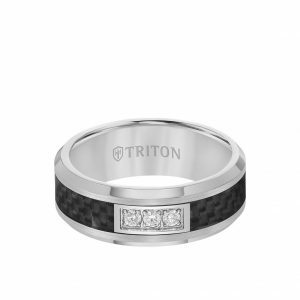 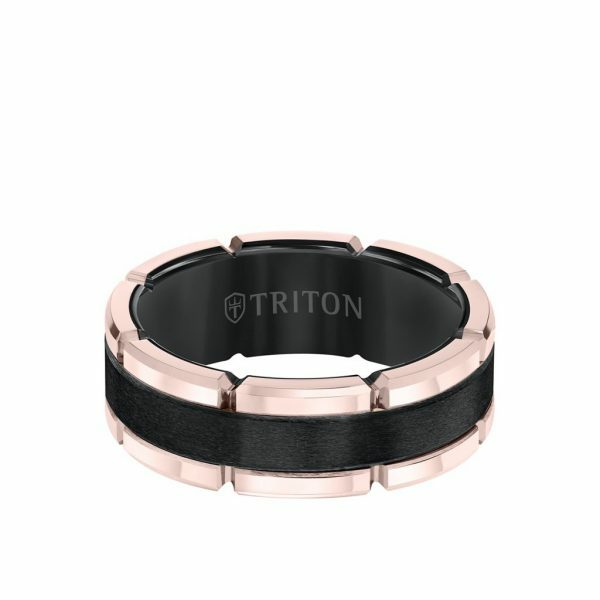 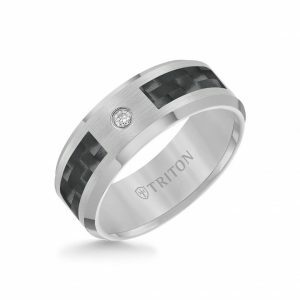 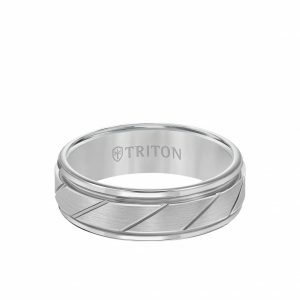 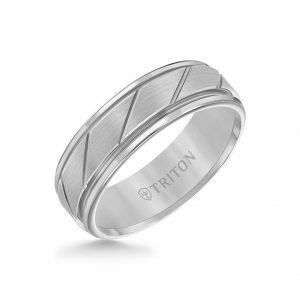 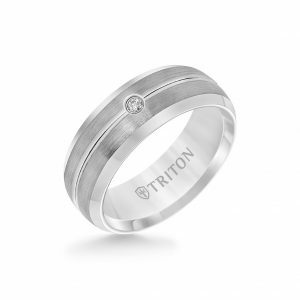 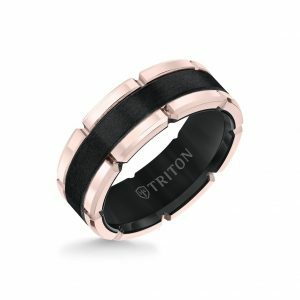 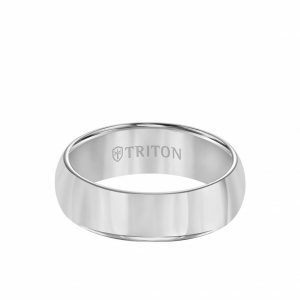 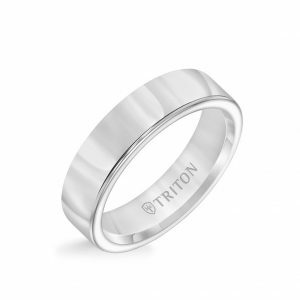 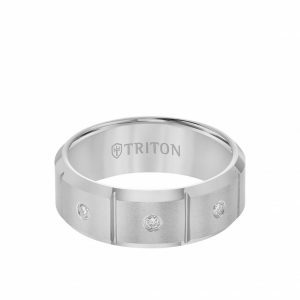 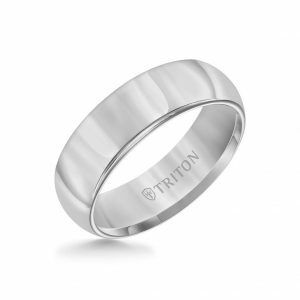 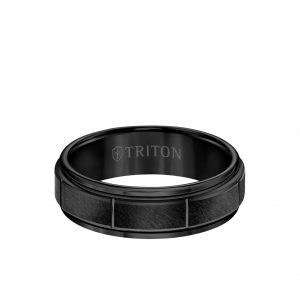 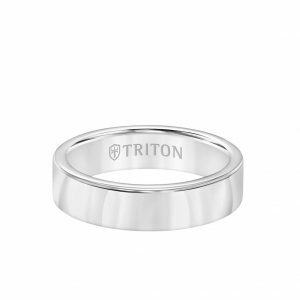 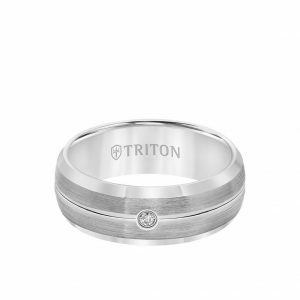 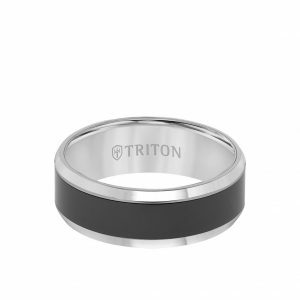 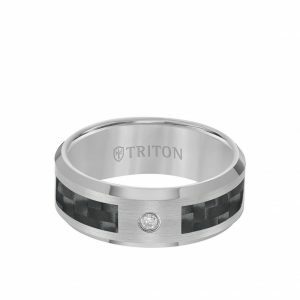 Triton Rose and Black TC850 vertical cut pattern edge comfort fit wedding band. 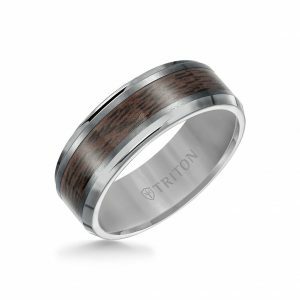 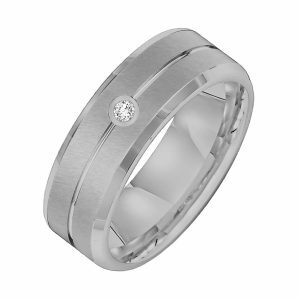 The band is 8mm wide with a flat brushed finish black TC850 inlay stripe, which runs the circumference of the ring. 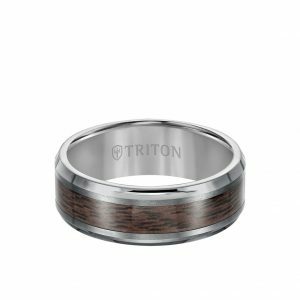 The shoulders are made of high polished rose TC850 with evenly spaced vertical grooves, that run from the top edge and down the side. 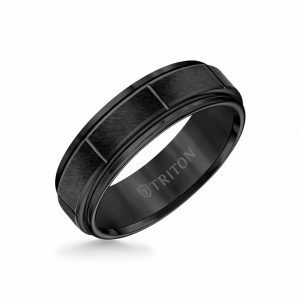 The ring has a black heavy comfort fit interior and a high polished beveled edge.